Below you can find the life cycle for each version of application Netscape, like Netscape Navigator 9.0.0.6, including release dates and end of life (EOL) dates. Netscape is the general name for a series of web browsers formerly produced by Netscape Communications Corporation, now a subsidiary of AOL. The original browser was once the dominant browser in terms of usage share, but as a result of the first browser war, it lost virtually all of its share to Internet Explorer. 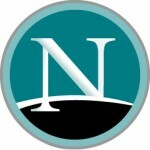 Netscape Navigator was inspired by the success of the Mosaic web browser, which was co-written by Marc Andreessen, a part-time employee of the National Center for Supercomputing Applications and a student at the University of Illinois.